This forecast was published 04/03/2019 at 7:18 AM. 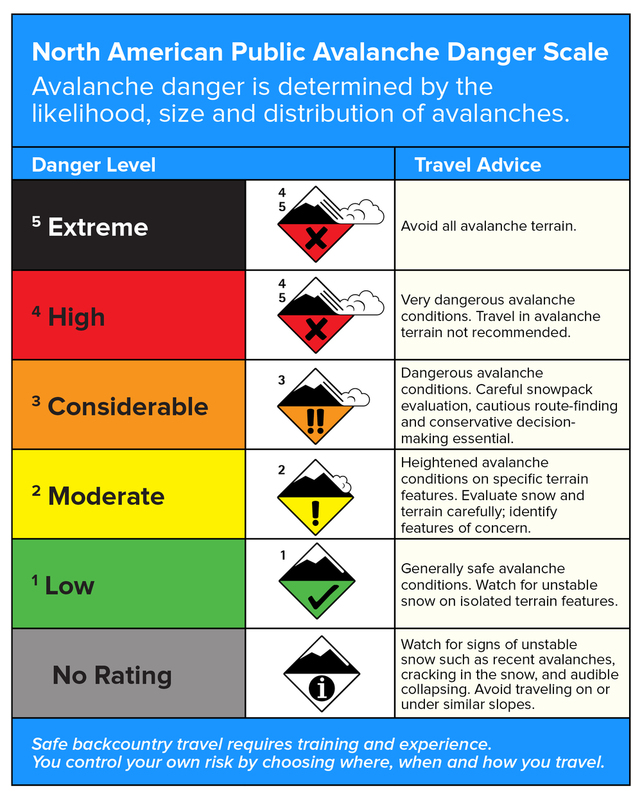 This is an archived avalanche forecast and expired on 04/03/2019 at midnight. Small, thin wind slabs formed early in the week have had time to stabilize and are unlikely to produce a human triggered avalanche. The greater danger today is the potential for long sliding falls on our refrozen snowpack. 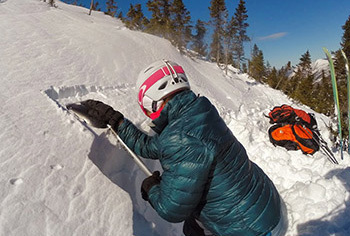 You may be drawn to the smooth, new snow, however consider the consequences of even a small avalanche resulting in a dangerous sliding fall on the hard snow surface below. This hard snow snow surface present in much of our terrain will limit your ability to self arrest a sliding fall. 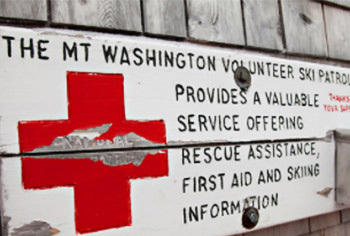 LOW avalanche danger exists today with human triggered avalanches unlikely. 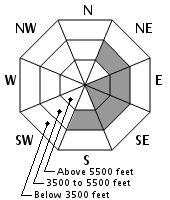 The possibility of new snow this afternoon combined with NW wind may build small new wind slabs in isolated areas. Yesterday was sunny with mostly clear skies and moderate winds, but slow to warm until the W wind shifted S in the afternoon pushing summit temperatures into the high teens. Hermit Lake reported 39 F for a high temperature. South facing slopes in the ravines did manage to soften a little in locations sheltered from the wind. Overnight, a low pressure weather system offshore managed to send just a trace of new snow our way. Today temperatures will rise to the mid 20s F on the summits, and warmer at lower elevations. South wind 10-20 mph through the morning will then shift to the NW, increasing in speed to 80-100 mph this afternoon. A second round of snow showers in the afternoon may bring another inch of snow at mid and upper elevations. Another inch or more of snow may fall tonight, as temperatures drop to the single digits on the summit. This forecast chance of snow ends early tomorrow while the 80-100 mph NW wind continues through the day. 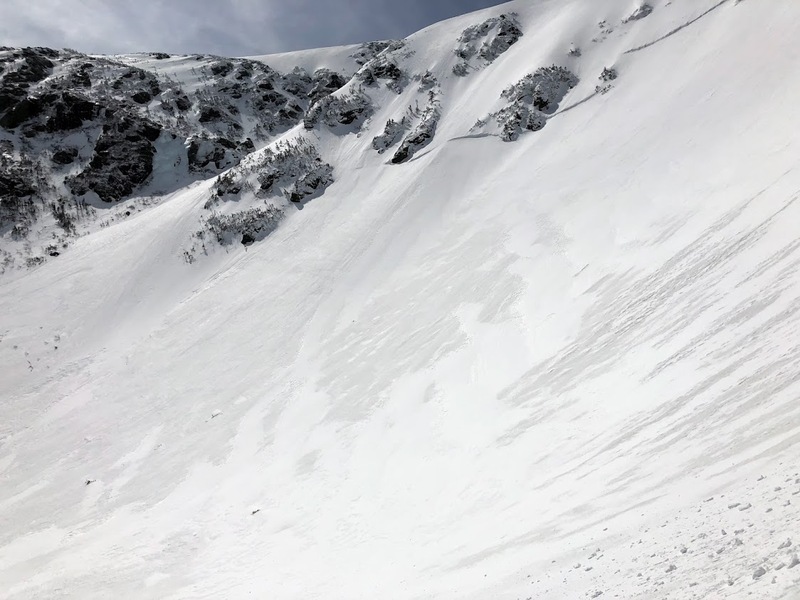 Wind slabs formed early this week are limited in size, seemingly unreactive to a human trigger, and found at elevations above 3500 feet on eastern aspects. Any new snow that falls this afternoon will be affected by W and NW wind, adding to existing wind slabs at mid elevations on the eastern side of the range. 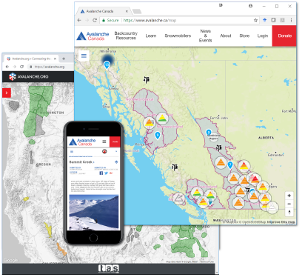 Current forecasts suggest small snowfall totals and quickly increasing wind speeds which will limit the development of sensitive new wind slabs. 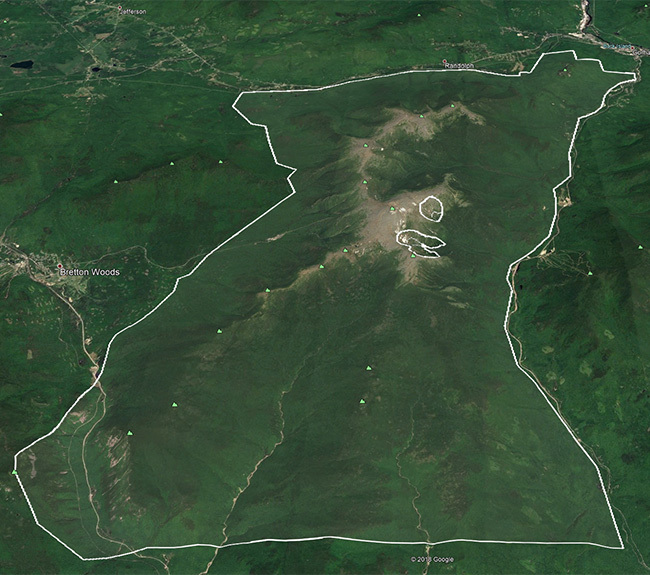 Watch for small slabs developing on isolated terrain features. 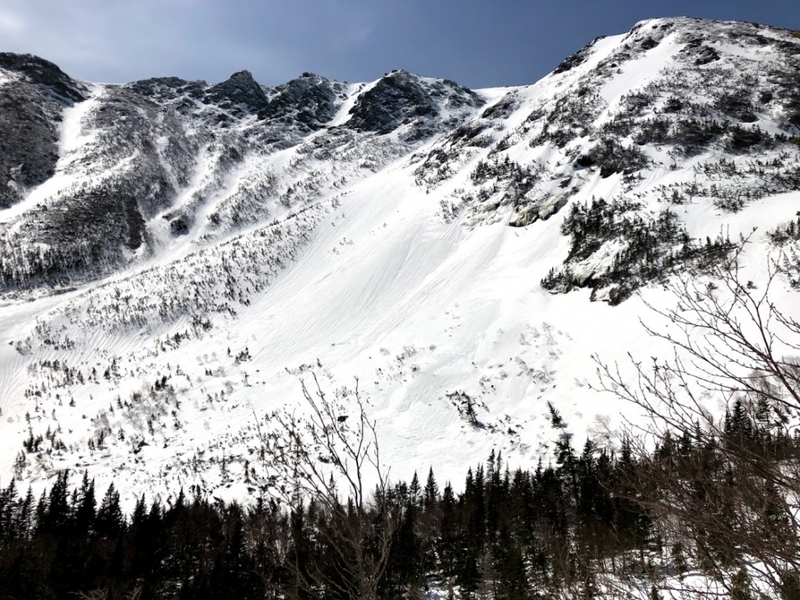 In Huntington and Tuckerman Ravines yesterday we found areas of wind slab formed over the last 48 hours were limited to thin pockets that appear to have bonded well to the existing refrozen snow, a result of Sunday’s warm rain and following refreeze on Monday. The effects of Sunday’s rain is evident in the form of runnels and a heavily textured snow surface. Until we have either a significant warm up, or rain, future avalanche concerns at mid and upper elevations are limited to new snow above this surface. Low elevations are quickly losing snow and may lack sufficient snow to have any avalanche problem. 4/2/2019 New snow is easy to see as bright white and smooth, old frozen snow surface is dull and textured. 4/2/2019 Runnels formed from Sunday’s rain. One topic that keeps coming up is just how much snow we have on the ground. On 4/2/2019 the snow plot at Hermit Lake had 219CM of snow. On 4/2/2018 the same snow plot had 144cm of snow. Pretty good! Posted 04/03/2019 at 7:18 AM.